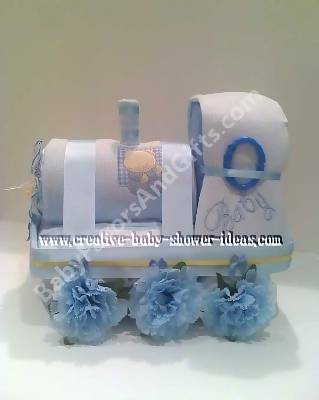 Diaper and nappy cakes are wonderful ways to give useful items to a new mom. Use our creative ideas to create your own masterpiece. 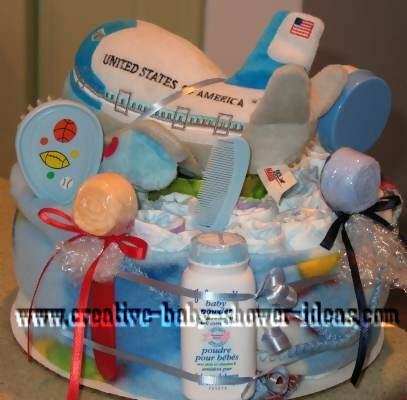 We have other categories of diaper cakes in the index below. Join other readers by sharing your cake ideas with us! Share them with us here. 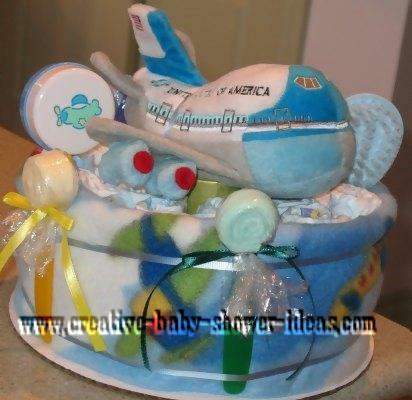 I love to make diaper cakes for baby showers. 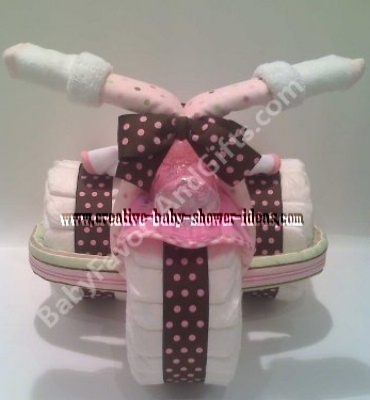 They are the best way to give baby gifts. 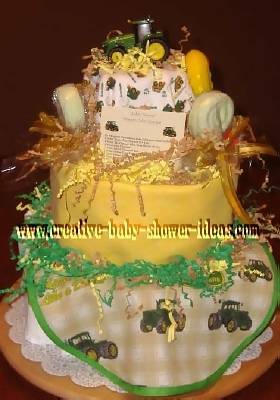 This cake was made with 75 size 2 diapers. 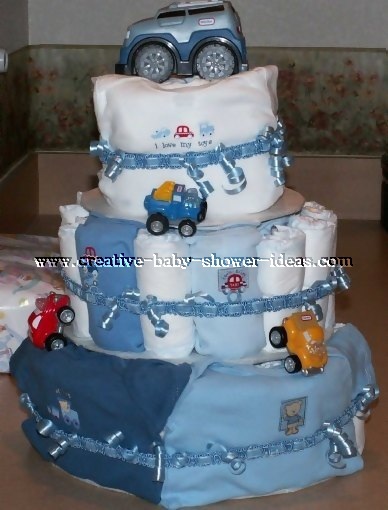 This was for a baby that was around 2 months so I wanted to make sure the diapers were big enough to still fit. I used a cardboard base with each layer to help with stability. I wanted to make a really cute cake for a boy because it seems like girls always get the cute stuff. 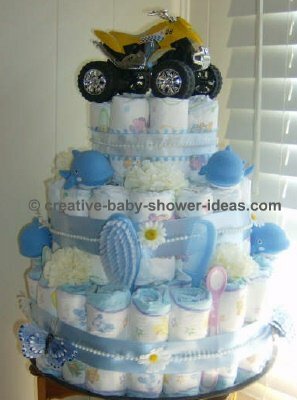 I put a soft toy truck on the top and light up trucks around the cake. I also used a package of onesies. The top onesie says, " I love my toys." It was a hit with the mother. These diapers are decorated with puppy coordinating items. 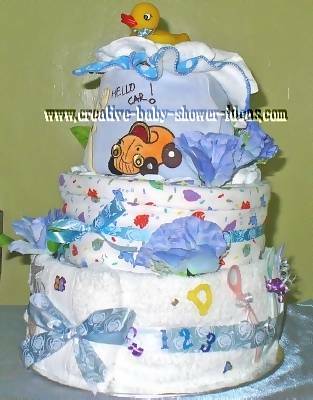 My first ever diaper cake for a baby boy!!! 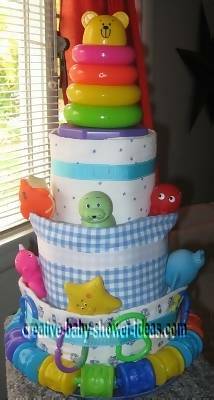 This is a three tier cake made with size one Huggies diapers; around each layer is a receiving blanket secured with diaper pins on the backside. 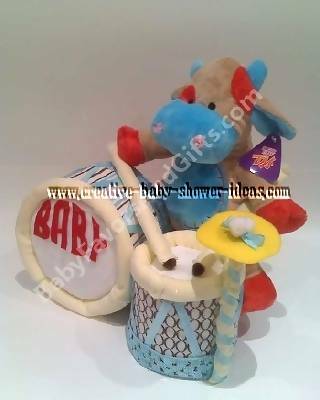 Bath toys and rings decorate the outside with teddy bear stacking rings on top!!! 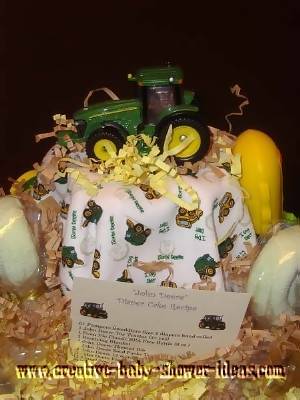 This is a John Deere Cake - perfect for your little man that loves tractors!!! 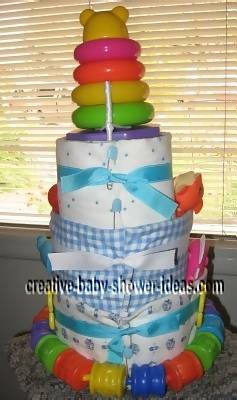 I loved your ideas & photos about Diaper cakes. I had never seen one before and as I am going to be a Grandma twice this year, decided to try making two.